How a global deal on e-commerce can aid domestic capacity development and the measures that need to be implemented by policy-makers in developing countries are vital issues, yet are not well understood. 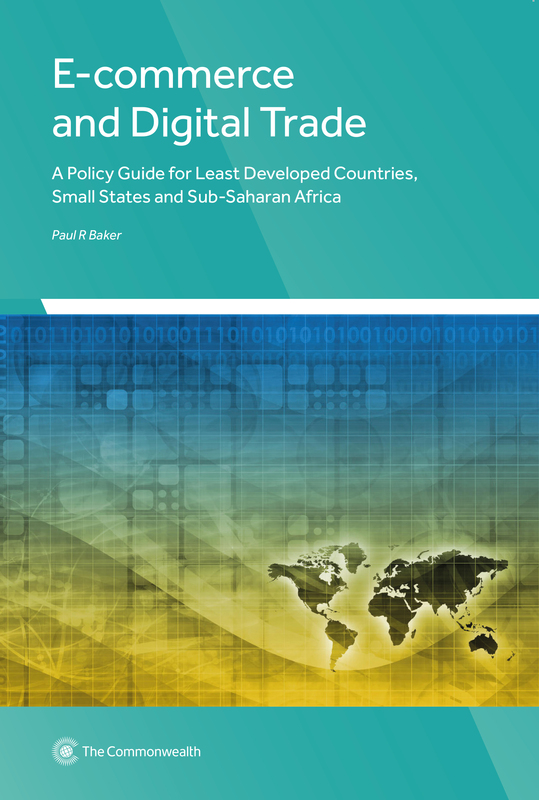 This policy guide reviews the current regulatory frameworks, legal issues, empirical data, WTO member states proposals, and existing literature on e-commerce and digital trade. It is designed to help policy-makers in capacity-constrained Commonwealth small states, least developed countries, and sub-Saharan African countries to participate effectively in global work on the subject area, including in the context of the WTO work programme on e-commerce. It also provides an overview of the international support mechanisms that are available to allow e-commerce to stimulate trade and economic performance, through technical assistance, capacity-building, and the facilitation of access to e-commerce by micro, small and medium-sized enterprises, including small producers and suppliers in developing countries, and particularly in least developed countries. This paper investigates how growth in ICT usage may enable growth in per capita Gross Domestic Product (GDP) in very small island states by analyzing the effects of average ICT usage on GDP growth based on the most recent data available from the World Bank and from the International Telecommunications Union (ITU). Following an analysis of data over four years of 32 very small island states, this paper identifies an ICT multiplier effect that may explain and predict the relationship between average ICT usage and GDP growth. By showing how the ICT multiplier effects may be connected to GDP growth, this paper adds to what we know about the relationship between these two indicators in very small island states. This has implications for how government interventions can enable ICT capacity to bring about GDP growth.